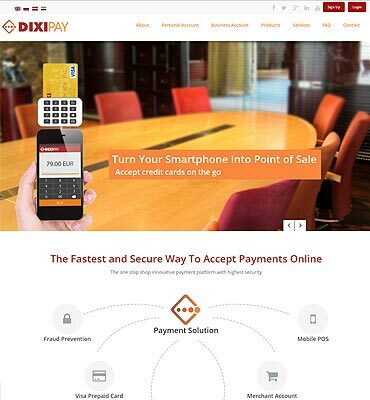 DIXIPAY is an innovative electronic payment service provider offering financial services globally through the internet, depending on the latest IT technology in this field. 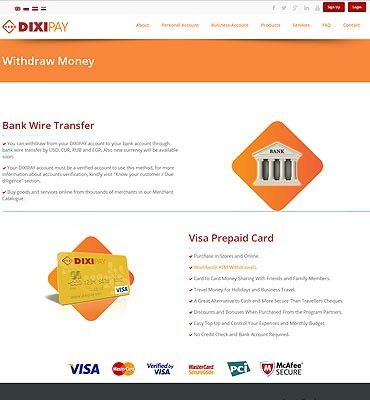 Their services include credit cards, prepaid cards, e-wallet payments, online money remittance, and e-commerce service. 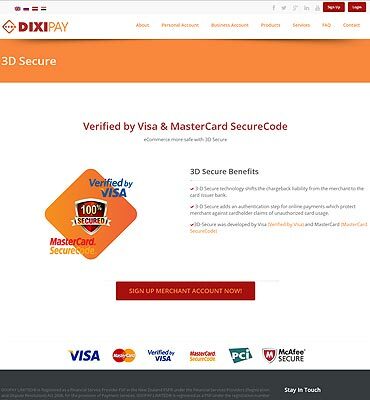 Flexsin developed a one-stop shop innovative payment platform with the highest security; As for the corporate customers and online business, we offer turnkey solutions to accept payment and credit card online through flexible merchant accounts, which in turn provide the maximum comfort and safety for the buyers, and of course, the highest rate of sales for merchants. 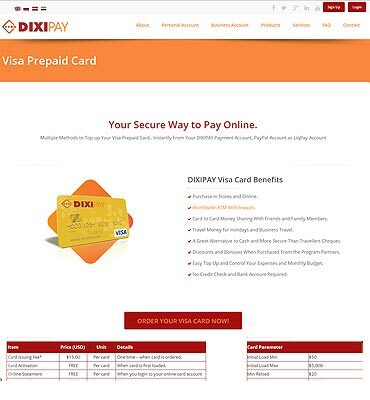 An easy and safe way to add funds to users' account using DIXIPAY prepaid cards. 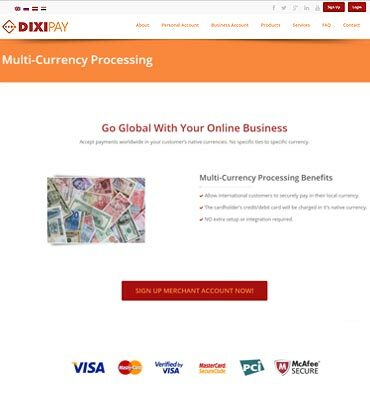 Development Process Flexsin's team of high-profile e-commerce developer was involved throughout the project development, including business analysis, development, integration, testing, maintenance, and support. 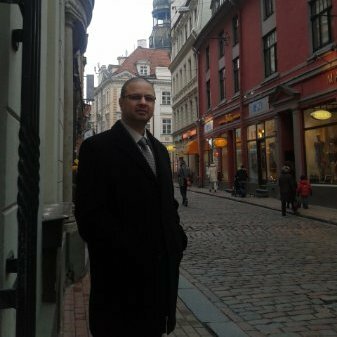 To keep the customer abreast of project progress, our team had calls with the customer and his team, as well as presented reports and demo-versions on a regular basis. Analyze the objective and gather requirements according to the client specifications. 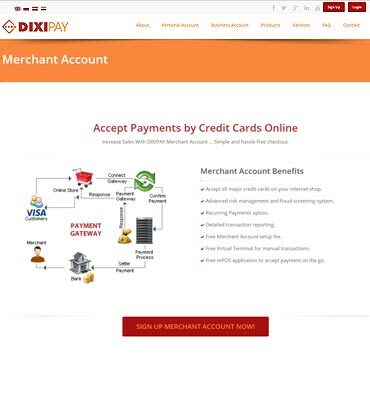 Using the information gathered from the requirement analysis phase, we put together a plan for the development of web portals like technology, CMS integration, and API for instant fund transfer. The challenging points of the development process were discussed collectively and resulted in a variety of approaches to problem resolution. AWESOME !!!! WELL DONE ..